Above left - Winona Chief's outfielder Chet Wieczorek. On the gridiron he was twice selected as an All-American, twice as the Big Ten's Most Valuable Player. 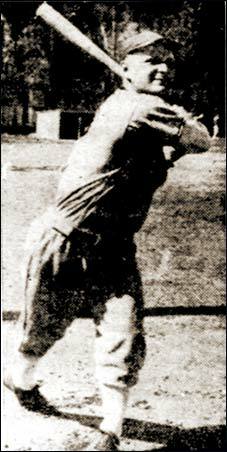 He was captain of the football team, runner-up for the Heisman Trophy in 1953. 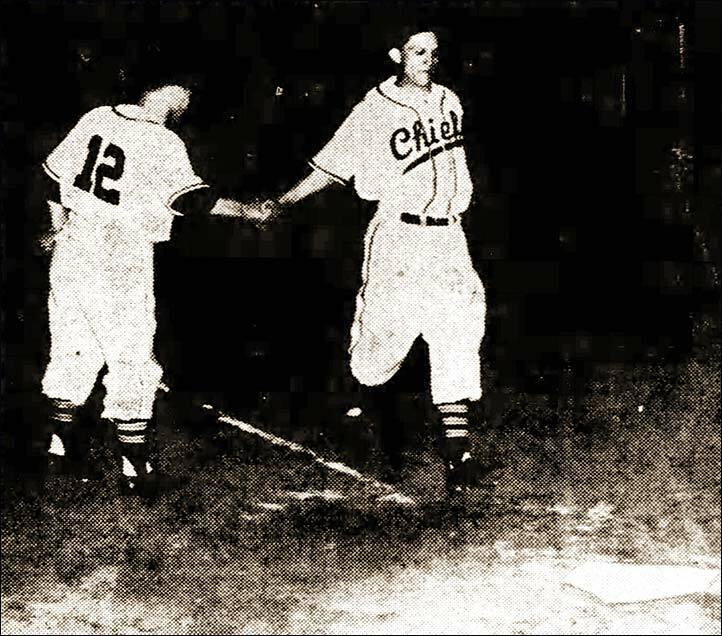 However, he chose a professional career in baseball following his All-American selection in 1953. 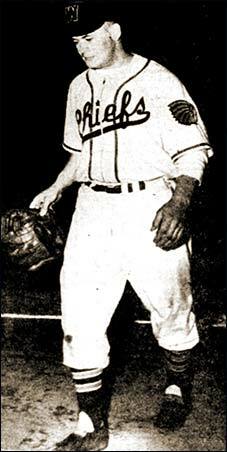 He signed with the New York Giants and pitched in parts of six seasons with the Giants, Pittsburgh, Minnesota and Kansas City. In 1975, Giel was inducted into the College Football Hall of Fame. Below - Winona's Gabby Hormann is congratulated by catcher Bill Leach as he heads for home after hitting a home run against the Albert Lea Packers. 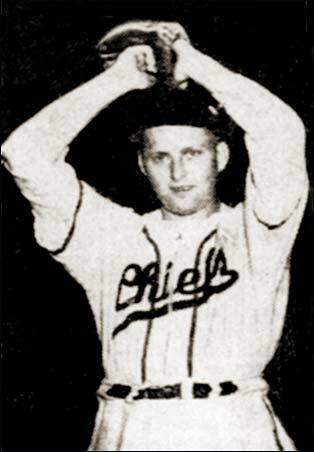 Hormann played the outfield for the Chiefs and often sang to help entertain the fans. Known as "Webb Foley", Hormann had a career as a country music entertainer. 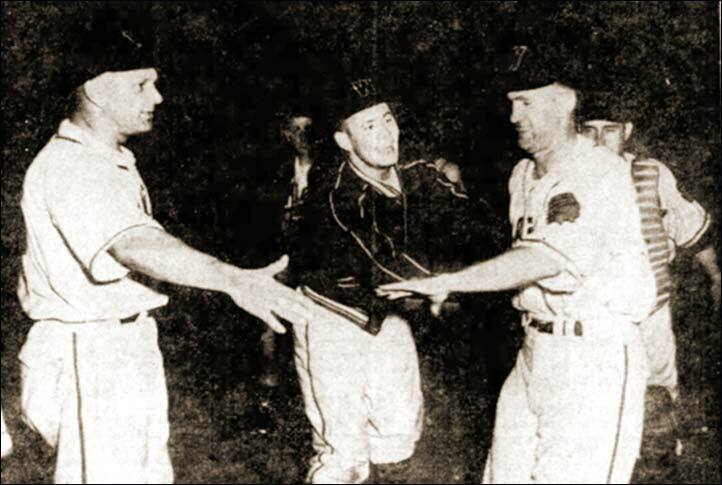 Below - Jim Phipps of Winona gets greeted at home after smacked a two-run homer against Austin. That's Chet Wieczorek at the left extending his hand with Paul Giel in the centre offering congratulations. At the right, Bill Leach is running in to join the party. Below - A section of the record-breaking crowd of over 4,000 fans at Winona September 2nd as the Chiefs dropped a playoff decision to Albert Lea. Norm Snyder of Winona is the batter at the plate with the Packer's Del Marquardrt the catcher and Plate Umpire Drobinski. 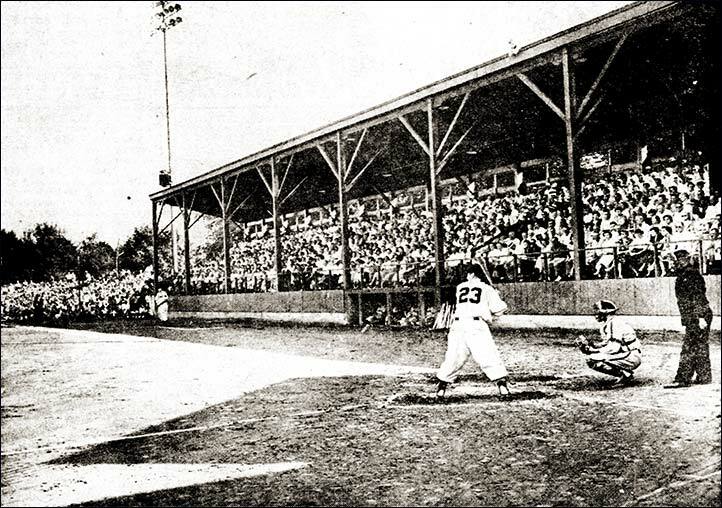 It was the largest crowd in the history of Gabrych Park.